Floral and Nature Art is a collection of digital photos featuring nature photography with an artistic flair. 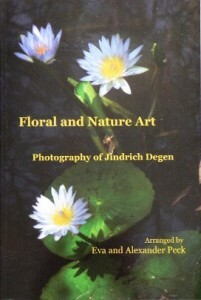 The photos have been arranged under the twin themes of floral art, featuring the beauty of flowers; and nature art, featuring imaginative shots of other aspects of nature. Inspirational quotations grace each page to complement the photographic beauty. 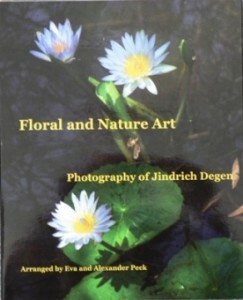 Floral and Nature Art was compiled by Jindrich’s daughter and son-in-law to acknowledge and honour Eva’s father’s creative photographic endeavours. Jindrich (Henry) has been personally involved in selecting, editing, and titling each photo. Floral and Nature Art exists in two editions — budget (small) and deluxe (large). To preview each, click on the respective images. Both editions, as well as several of our other books, are available to purchase through Blurb, a do-it-yourself company, which enabled us to create them. Besides being a gifted artist (and a former professional musician), Jindrich is no stranger to photography. Since his youth, he has enjoyed taking photos as a hobby. He captured in black and white and later in colour, his experiences in Europe and Australia, as well as overseas travels. Long before automatic camera settings and home photo printers, Jindrich learnt how to manually operate his cameras and how to develop and enlarge his own black and white prints. At the end of 2008 Jindrich purchased a digital camera. He has studied the instruction booklet, borrowed books on digital photography, and attended U3A photographic workshops. In the last five years, he has taken numerous photos of his art works, as well as of flowers and natural settings around his home and on local nature walks. With a keen imagination, he often perceives meaning in ordinary objects of nature, which gives many of his photos a special touch. Feel free to leave a comment about Jindrich (Henry’s) book or photography here.